Delapoer Downing fl. 1885 – 1902 was a British Painter born in London in the 19th century. 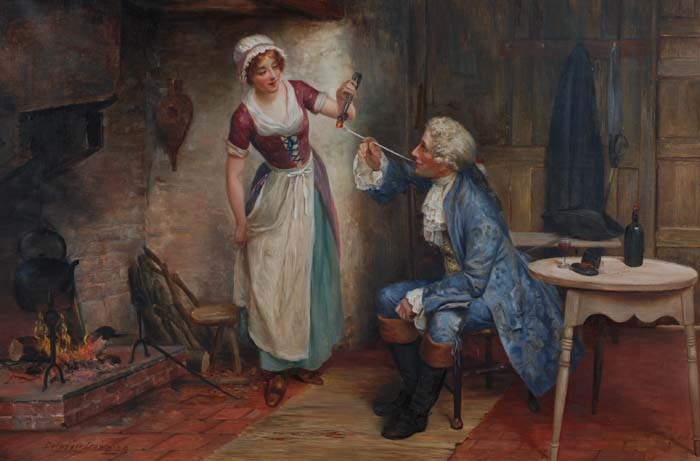 He was a painter of figures and domestic subjects. Dowing began to exhibit in the mayjor London venues in 1885 including the Royal Academy.